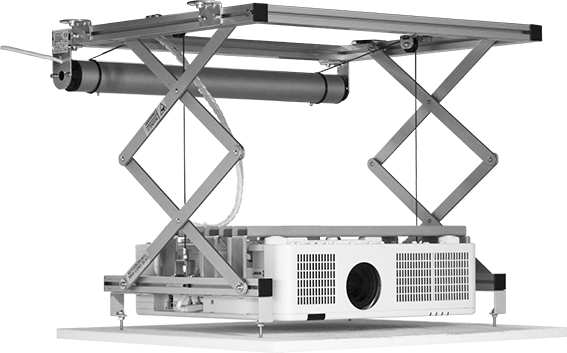 The PROJECTOR LIFT SI-H L 40 HC is studied in order to support large and heavy Professional and Home Cinema video projectors up to 30 Kg. of weight. 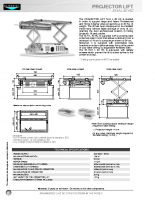 The lift has been developed to be installed inside a very narrow false ceilings of only 14 cm. granting the best aesthetic and practical solution in hiding the projector, lift and cables. The SI-H L 40 HC is supplied with a powered and extremely silent motor that allows a descent from a minimum of 14 cm to a maximum of 54 cm. Moreover it is supplied with extendable side brackets in order to allow an easy fixing of the panel of your false ceiling by adjustable threaded bars. 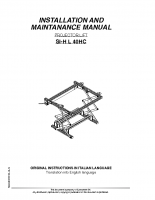 The lift SI-H L 40HC is equipped with two safety screws which prevents the lift to extent further to the preset end stop.